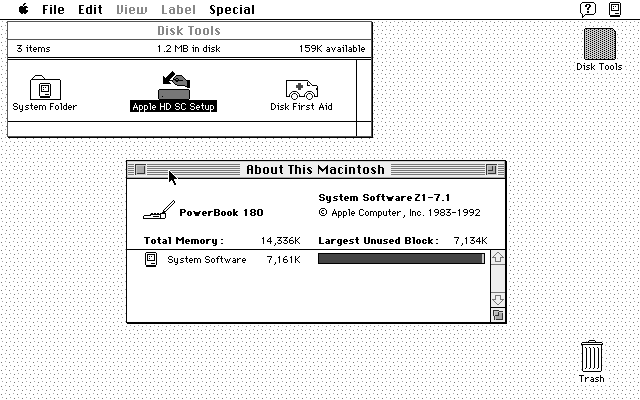 Seems I have two Macintosh PowerBook 180s: one has a dead colour screen but seems to boot fine, and the other (the one screenshotted above; yay ⌘+Shift+3 and enough room on the boot floppy …) has a lovely greyscale screen but a dead hard drive. I suspect we’re going to have to do a head transplant. 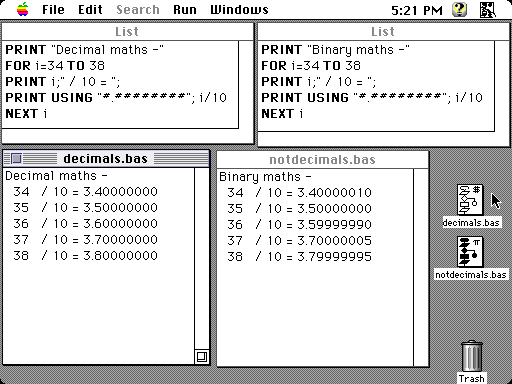 Microsoft used to supply two versions of its BASIC for Macintosh. One used decimal mathematics for precise tallying of small amounts. The other used the more familiar floating point mathematics, rounding errors and all. I don’t know what floating point library Microsoft used for sure — perhaps Motorola’s 32-bit Fast Floating Point system — but it introduces rounding errors pretty quickly. Modern routines don’t start displaying oddly until after 15 decimal places. So the variables, they vary. I’ve had my MacBook for just over three years (just past AppleCare, alas), but recently the trackpad had been acting up. I couldn’t get it to click and drag at all. Opening up the case showed me that the battery was getting a bit, well, tubby — something that apparently happens as Lithium Ion batteries age. I finally ordered a new one, and it came today. 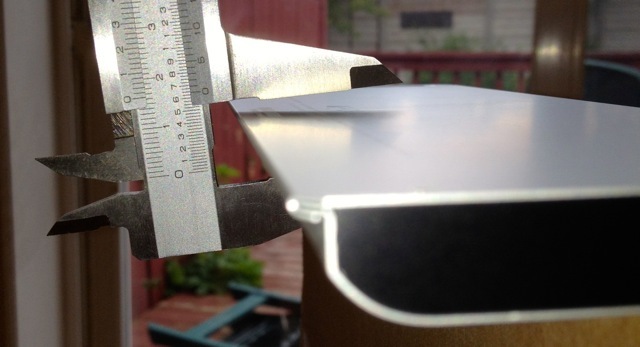 It’s nearly 50% slimmer, and sits flat on the table, unlike the old battery. My trackpad works perfectly again. Those seven sides stop it rolling away. A UK 50p coin is just perfect for blocking the snooze light on a MacBook: Those seven sides stop it rolling away. Just got my Uno after finding semi-permanent projects for two previous Duemilanoves. Upgraded to Arduino 0020. After rebooting, and power cycling the Uno, there’s still no serial port for the Uno. There are no /dev/tty* or /dev/cu* devices that correspond to the device. Now that CHDK has a working beta in the source tree for my Canon PowerShot SD790is, I actually have to prepare SD cards for it. The Bootable SD card – OS X instructions seem a bit contrived, so I took a look at the linux instructions, and modified them accordingly. These instructions should work for FAT16-formatted SD cards of 2GB capacity and under. It will not work for SDHC cards, which are generally formatted to FAT32. This is all command-line only for here on in. It seems to work. Please note that you will be modifying raw file systems with root permissions here; there is no safety net. If you b0rk your main hard drive, don’t say I didn’t warn you. The mount point (or volume) – in this case /Volumes/CANON_DC. This is the location that you see in Finder when moving files around. The filesystem – here /dev/disk2s1. 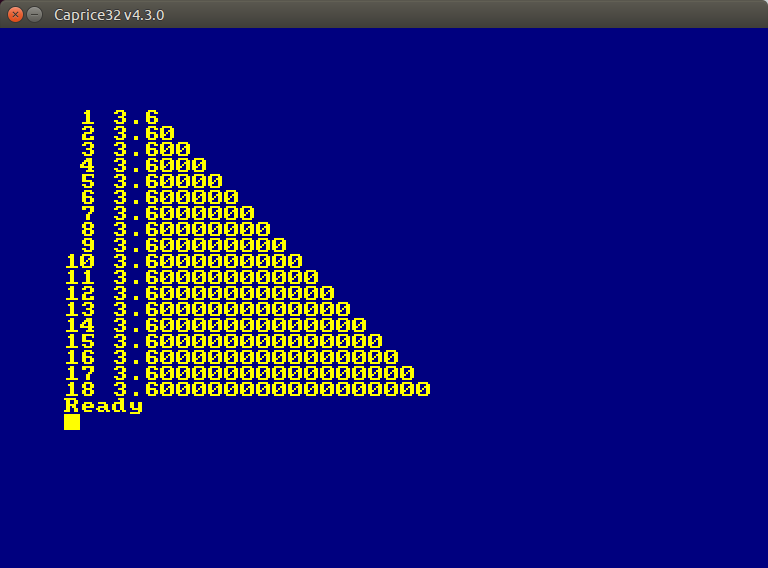 This is the partition on the disk, arranged according to a certain formatting scheme like MS-DOS FAT16. The disk device – which for me is /dev/disk2. This is the disk device itself, and it may contain several filesystems. Your locations for these three could well be different, so please substitute your values. This will prompt you for your password. Update: Knowing a difficulty getting the firmware update method of getting CHDK to work on a Mac? 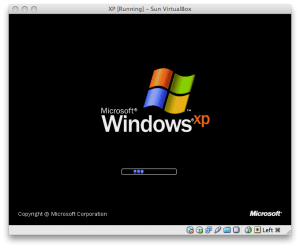 Running a Leopard or newer machine? Then you need to learn all about Apple’s quarantine attribute and how to remove it with xattr: FAQ/Mac – Still having trouble?. Apparently they all use the wonderful SQLite, too. vCard Splitter used to be teh way to split up the huge vCard file that Apple Address book creates. But it doesn’t work under Snow Leopard, but I discovered this tip from Apple: To create multiple vCards at the same time, hold the Option key when dragging multiple cards out of the Address Book window. 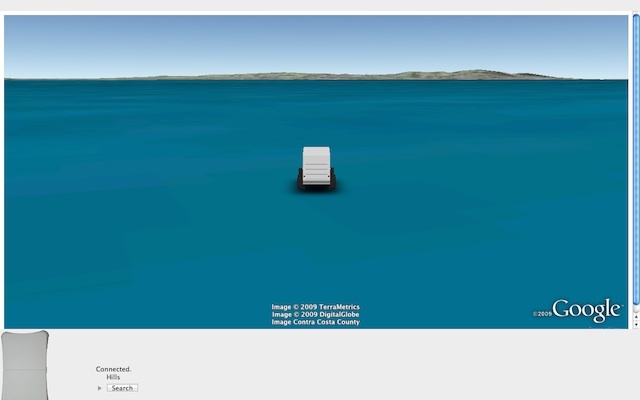 earthsurfer is the first computer application for years – perhaps decades – that has made me go “Wheeeeeeeee!” It’s a port of Monster Milktruck! to use the Wii Balance Board on the Mac through Bluetooth. It has no use whatsoever, but it is inordinate amounts of fun. 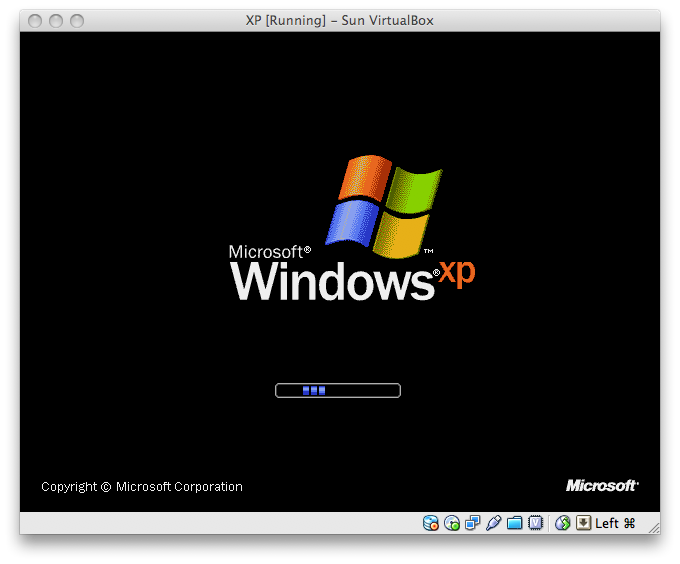 Windows XP, running under OS X using VirtualBox. 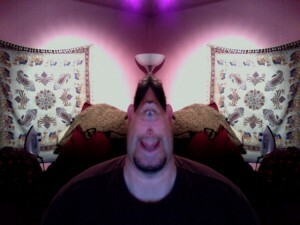 that’ll teach me to mess around with photo booth and Catherine’s iMac. so, why would anyone buy a Mac now? Author scrussPosted on 02008-10-05 Categories computers suckTags mac, snarkLeave a comment on so, why would anyone buy a Mac now? It has always irked me that OS X doesn’t have the seq command (I am easily irked). Brian Peterson’s old e-mail Re: seq from core utils has it, but the link to sh-utils doesn’t work any more, since the project has been archived. Here’s the new link: http://ftp.gnu.org/old-gnu/sh-utils/. Compile it as Brian suggested, and all will be well. NB: this article is a few years old, and I haven’t tested any updates since I wrote it. It may still work; who knows? This is one that the support desk of my employer really should’ve answered, but they gave their usual, “You mentioned Macintosh in your e-mail, so this conversation stops here” response. Exit the terminal, and try your Citrix session again. There might be some unnecessary steps there, and this might all be fixed by downloading the latest release of the ICA client, but this works for me now. The Verbatim FlashDisc seems to be a solution without a problem to solve. Just what kind of media is it supposed to be? It looks closest to an old spool of mag-tape, but folks buying this wouldn’t remember that. I see that the number of Dexit terminals has reduced to almost nothing, and now they’re offering refunds of outstanding balance. Looks like it’s dead. I’ve had a love/hate relationship with Dexit. It was almost a great idea, but offered no significant advantage over cash from the bank machine. I wonder how long it will be before you can buy the old terminals in Active Surplus?